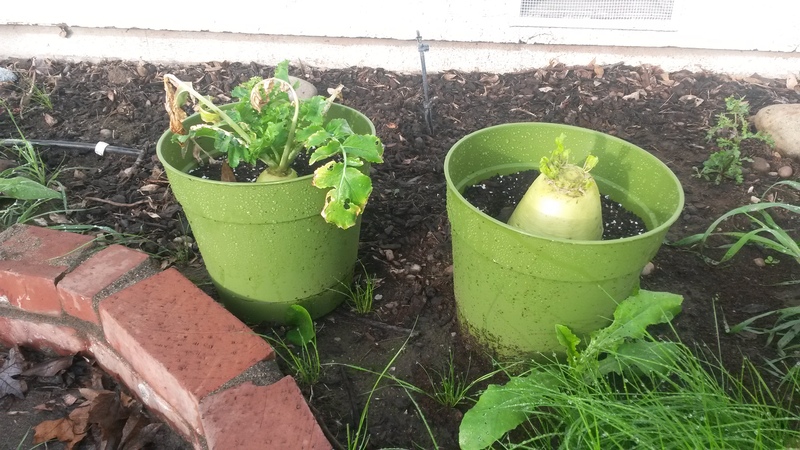 I wrote a post about planting Korean radishes that I purchased at a grocery store back in March. I wanted to see if I could get them to grow even though they’d been cut. I also wanted to see if I could get seeds. One of the radishes had been topped–the leafy part cut off. It’s the one on the right above. You can see it growing new leaves. The other radish had it’s root cut off. 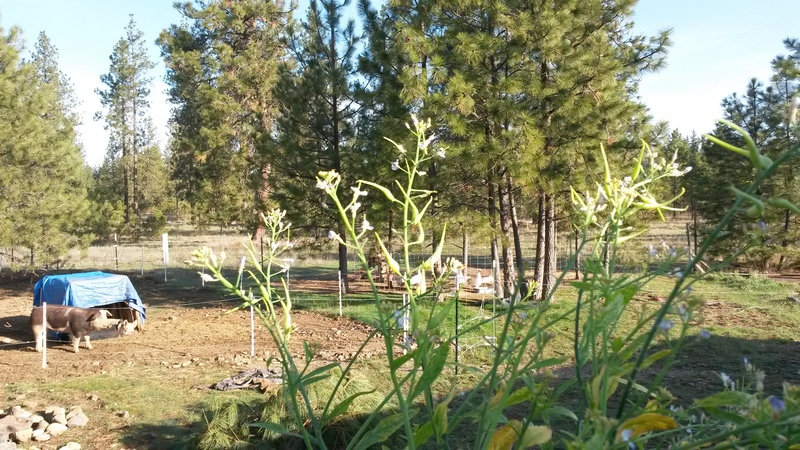 The radishes were just beginning to blossom when I moved them from California to Washington. The leaves started yellowing in May. 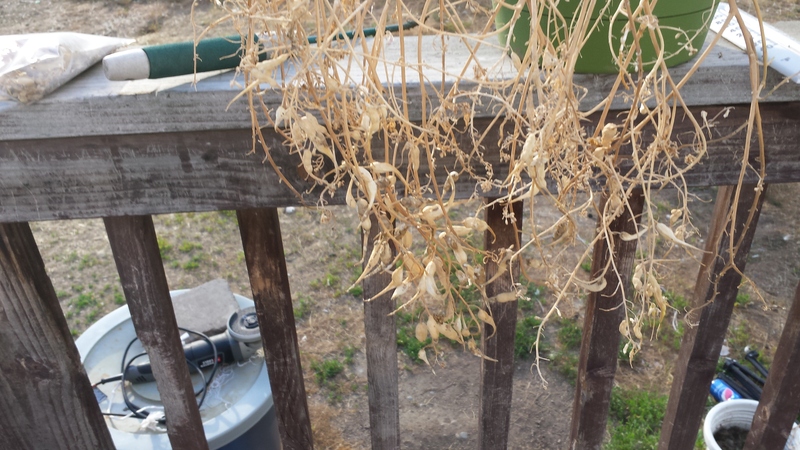 I stopped watering the radishes around mid-month. The plants completely dried out. 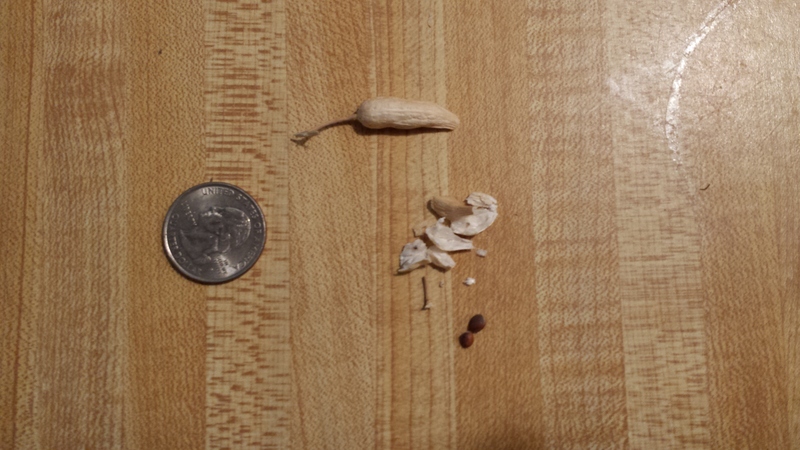 There are little reddish-brown seeds in every pod. There are some things I still don’t know about these plants. Are they like some beets, that can take two years to go to seed? When is too late to plant? Can you plant in the fall and have them pop up in the spring? We’ll see. I’m planting some now and will plant more in late September. 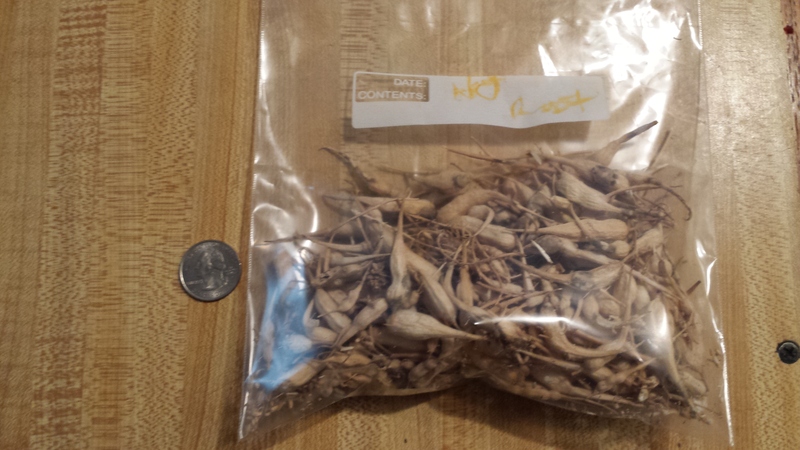 This entry was posted in Plants, Shrubs and Trees and tagged harvest, korean radish, seed by admin. Bookmark the permalink. I am very interested in the progress you are making on these radishes. I use a lot of these radishes and have noticed that they like to sprout on my counter before I have used them. I cannot seem to find a growing guide to them at all. I have planted a cut piece with leaves (as you’ve shown in your flower pot on the left above) I hope it will grow but I’m not sure. I live in Arizona and the sun is harsh for this plant. My first attempt was a failure. The plant died quickly. I am now trying again. Korean radish is very fast growing. The best time to plant the large varieties is late summer-fall; if you plant on spring they usually bolt before producing anything. There are some bolt-resistant varieties though.